A new government lawsuit charges Volkswagen with deceptive advertising for its "clean diesel" ad campaign. "For years Volkswagen's ads touted the company's 'Clean Diesel' cars," said Edith Ramirez, chairwoman of the Federal Trade Commission, which filed the suit on Tuesday. "Our lawsuit seeks compensation for the consumers who bought affected cars based on Volkswagen's deceptive and unfair practices." The suit doesn't spell out exactly how much it wants VW to pay each owner, but it also aims to force VW to give up the profits it made on those car sales. Volkswagen (VLKAY) has admitted that the cars had illegal software meant to cheat on environmental tests by cutting emissions only during testing, and then dumping up to 40 times the allowed level of some pollutants when driving. The FTC suit filed in Federal Court in California covers 550,000 diesel cars sold in the United States by Volkswagen and its luxury brand Audi. Volkswagen has apologized to owners and announced a modest program to pay U.S. diesel car owners $500 in cash and $500 in discounts. It has also hired attorney Kenneth Feinberg to oversee a compensation fund for owners. Feinberg also oversaw a fund that paid victims of General Motors' (GM) flawed ignition switch tied to at least 124 deaths, as well as victims of the 9/11 terrorist attacks and the BP (BP) oil platform explosion in the Gulf of Mexico. Details of the VW compensation program have yet to be announced. "Volkswagen has received the complaint and continues to cooperate with all relevant U.S. regulators, including the Federal Trade Commission," said the company. "Our most important priority is to find a solution to the diesel emissions matter and earn back the trust of our customers and dealers as we build a better company." 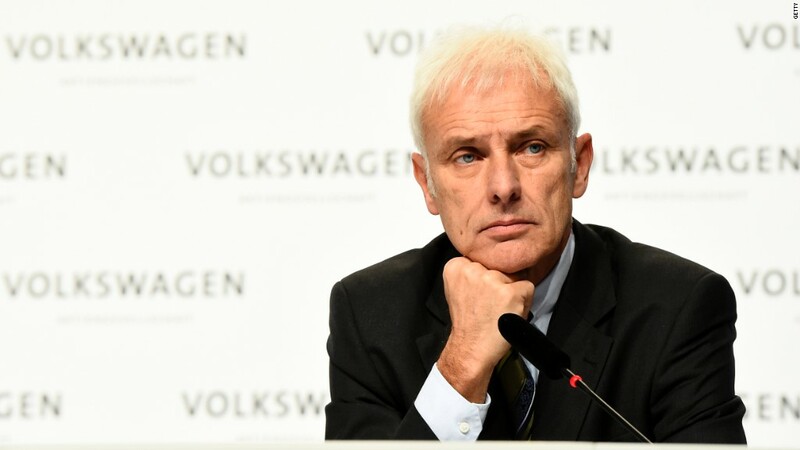 The company also faces a private class action lawsuit seeking compensation for VW owners. During court hearings in that suit a VW attorney said the company may need to repurchase some of the diesel cars that require a costly or difficult fix. But the automaker has resisted calls to repurchase all the affected cars. The EPA has already sued VW for violations of the Clean Air Act, a suit that could cost VW $18 billion in fines. And it faces a shareholder suit in Germany seeking $3.6 billion.